Slow charging but does the job good for people who work as delivery drivers for Amazon yodel dpd etc who take phone off from holder on each delivery save you from hassle to plug and unplug charger. I was delighted to find an alternative way to charge my phone. I was not happy trying to connect to various chargers, with the risk of damaging my phone trying to make it fit. Now, I just have to lay it down on on my charging pad, and that is it. Any downside? Well, it is simple to attach the adaptor, but you have to place the phone about half the way, or it won't charge. When both green lights are on, you are OK. And it seems to take longer to charge, you don't get an express delivery. Those things aside, it is still a livable to go. An excellent product, very simple to fit and easy to use. Value for money. No need to worry about poorly fitting usb charging sockets! 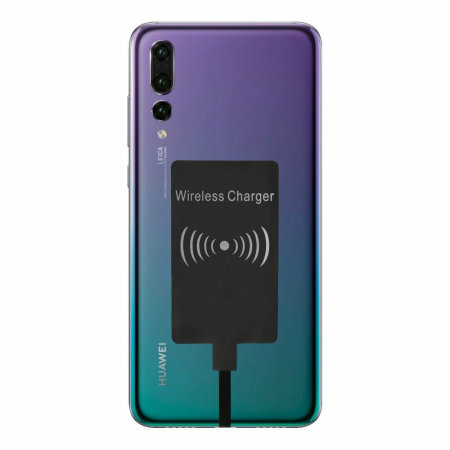 Was advised to buy this product by thx sales person as I purchased the Huawei p20 pro and wanted to continue to use my wireless charger from my previous phone. Works a treat. You do need to have a phone cover if you leave it permanently attached although you could just attach each night. Excellent service from the company.